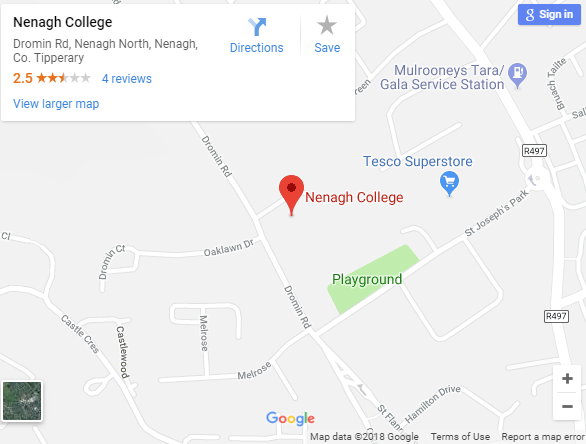 Nenagh College is renowned for its caring ethos and continues to place the student as the focus of all learning and progressive provision. Our students are offered a wide range of subjects leading to Junior Certificate and Leaving Certificate. We also offer Post-Leaving Certificate courses. All our subject provision and support services are designed to enable each individual student to develop and achieve their true potential. In 2016, Nenagh College celebrated its 80th Anniversary.